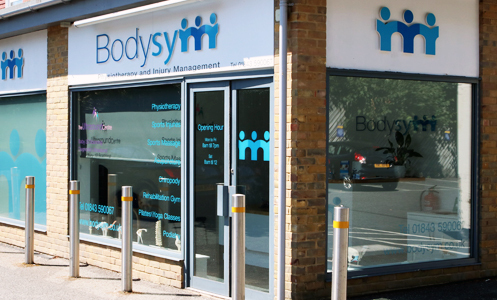 Bodysym’s resident foot expert is Tom Evans, an experienced HCPC-registered podiatrist who’s worked in both private practice and the NHS. Struggling to reach your nails? Finding your feet hard to manage? Whether you want to tackle dry skin or get nails glowing again, our team can help. When it comes to ingrowers, we focus on being as gentle as possible to give you lasting relief. If simple treatments don’t help, surgery can be effective for ingrown, thickened, damaged, abnormally curved or fungus-infected nails. Nail surgery is performed under local anaesthetic and usually takes less than 30 minutes. • Using sterilised tools, the podiatrist gently lifts and trims away the affected area of nail. • Then the growth plate is destroyed using a chemical to stop the nail growing back. • The skin is not cut or stitched so recovery time is short. • Once fully healed, the nail looks normal, just slightly narrower than before. • Most people find the procedure fairly pain-free and can get back to normal the next day. White, yellow or greenish nails can arise due to infections and skin conditions. 50% of cases stem from fungal infections, others from nail polish staining, damage, trauma or health problems. If you don’t know the cause, we’ll find out. Diabetic feet need special care, so we offer services including safe skin/nail care, diabetes education and annual assessments. We’ll have you sandal-ready in no time! Our therapist gently buffs off dry dead skin to leave heels baby-smooth. If needed, we can dress or tape larger cracks to aid healing, and assess whether the cracking is due to an underlying condition.